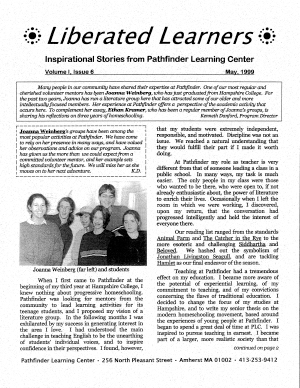 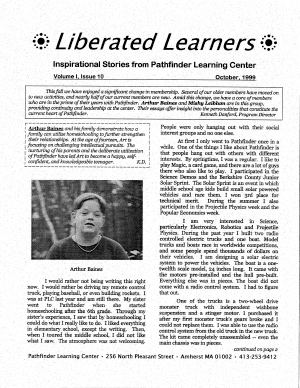 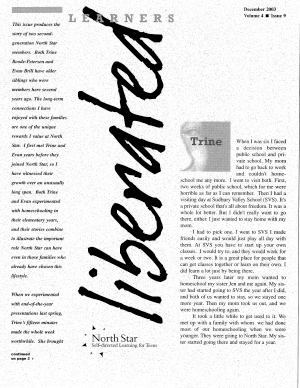 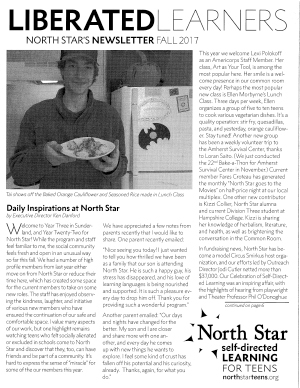 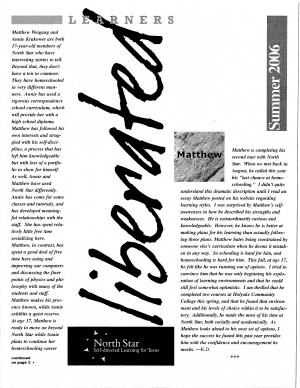 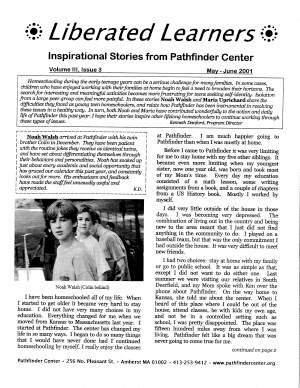 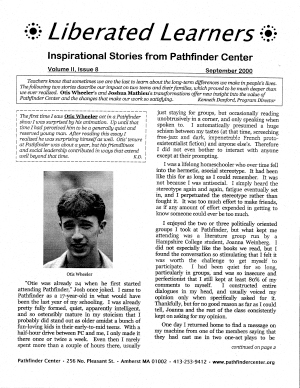 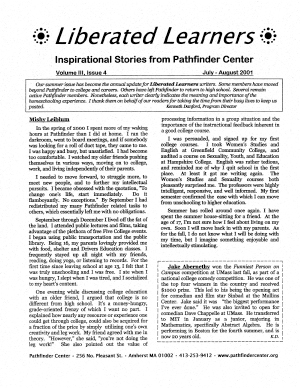 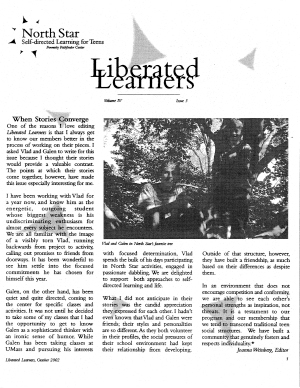 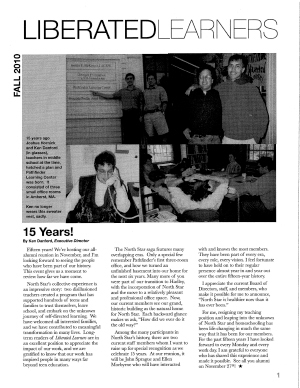 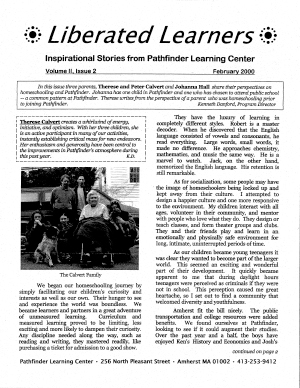 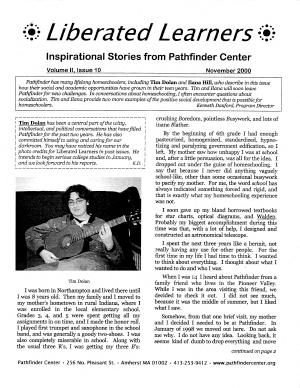 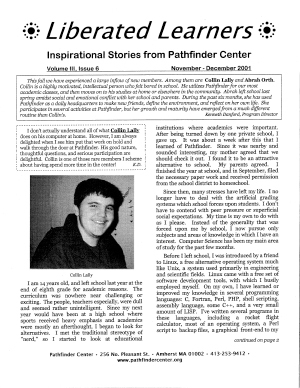 Liberated Learners is our newsletter, which we send out about three times each year. 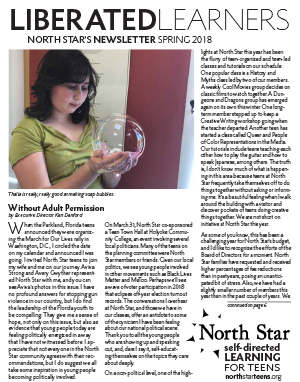 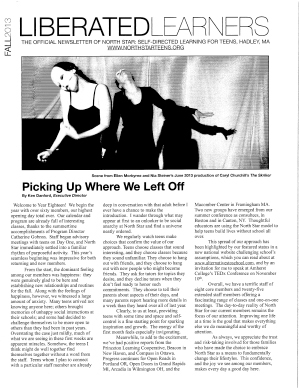 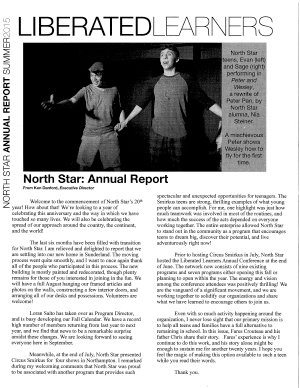 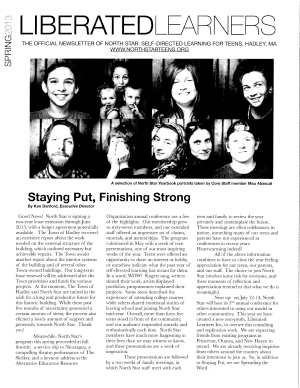 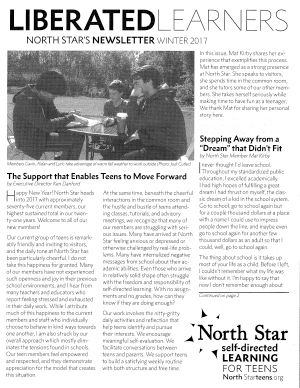 Let us know if you would like to subscribe; please indicate whether you'd like to get the print version, emailed version, or both. 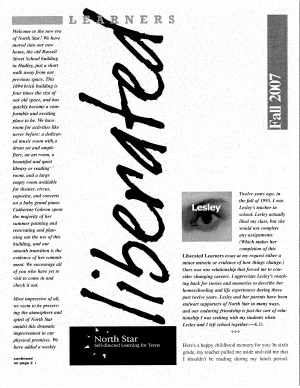 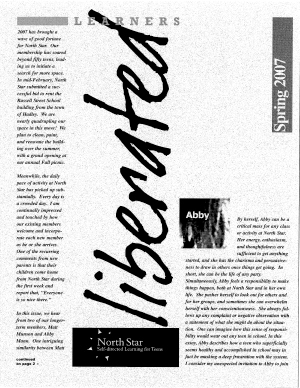 To see the complete index of Liberated Learners issues and names of people featured, click here.